Deiji Studios was founded in 2016, by Juliette Harkness and Emma Nelson. 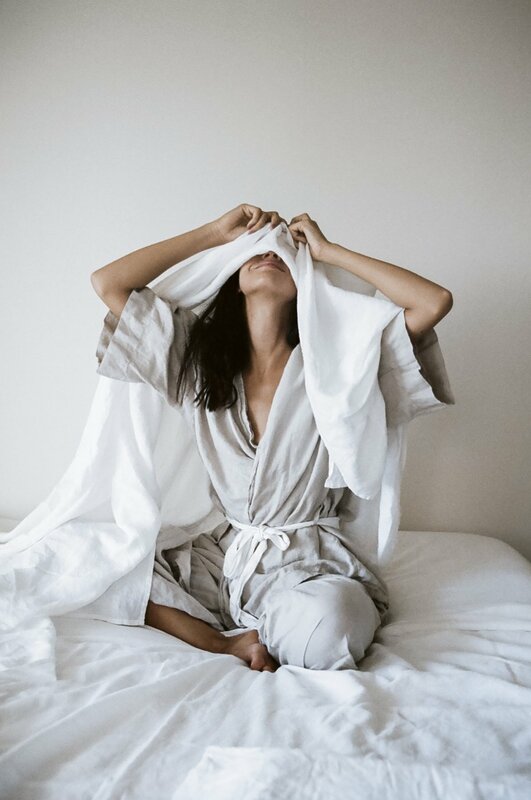 The dreamy australian loungewear line has created timeless pieces, designed to be worn in bed, at home or out and about. 100% French linen, carefully sourced, and made from the natural fibers of the flax plant. Stonewashed for extra softness, hypoallergenic, highly breathable and environmentally friendly. The Japanese inspired sleepwear set features a kimono style top, tied at the waist, paired with a wide leg lounge pant. 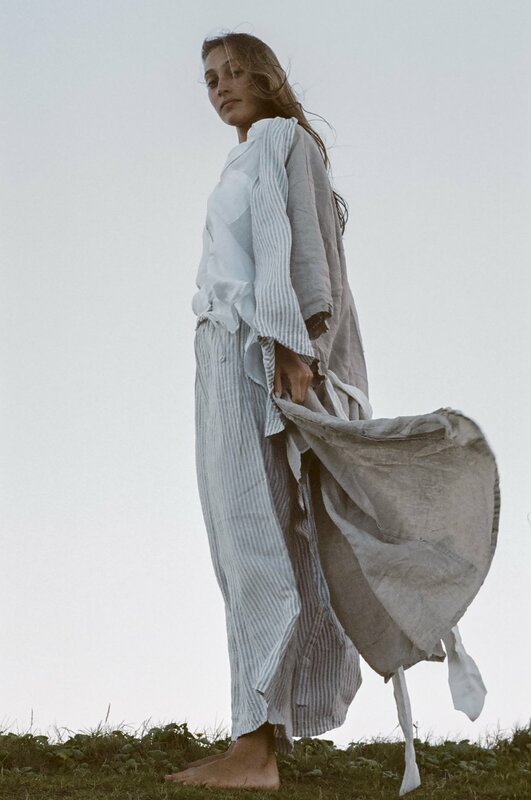 The full length Japanese inspired kimono robe features a contrasting white linen waist tie, extra wide sleeves and low hidden pockets on the side seams. 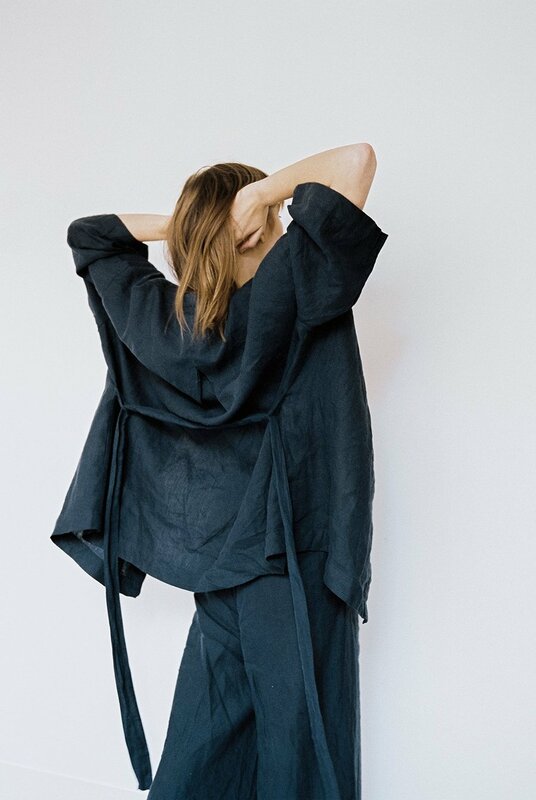 The loungewear set features an oversized linen shirt with wide arms and a front pocket. The shorts are a relaxed fit with an elastic waist. 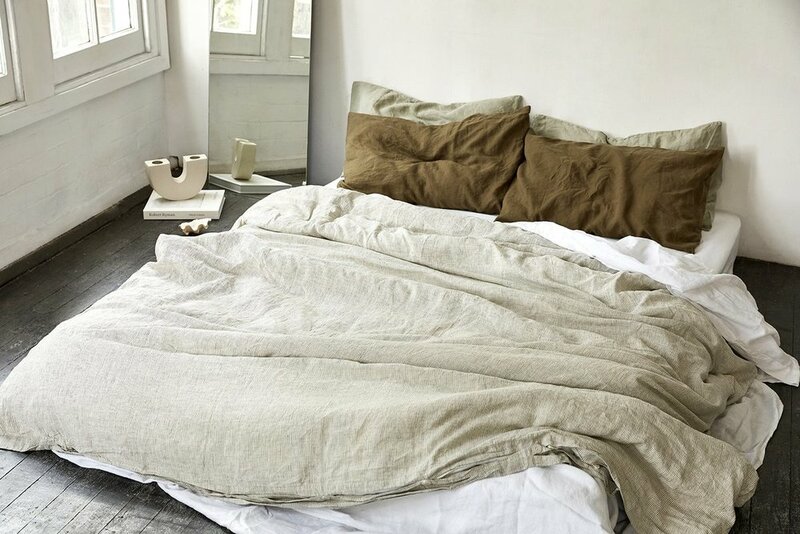 Deiji Studio also offers bedding made from 100% stonewashed French linen. 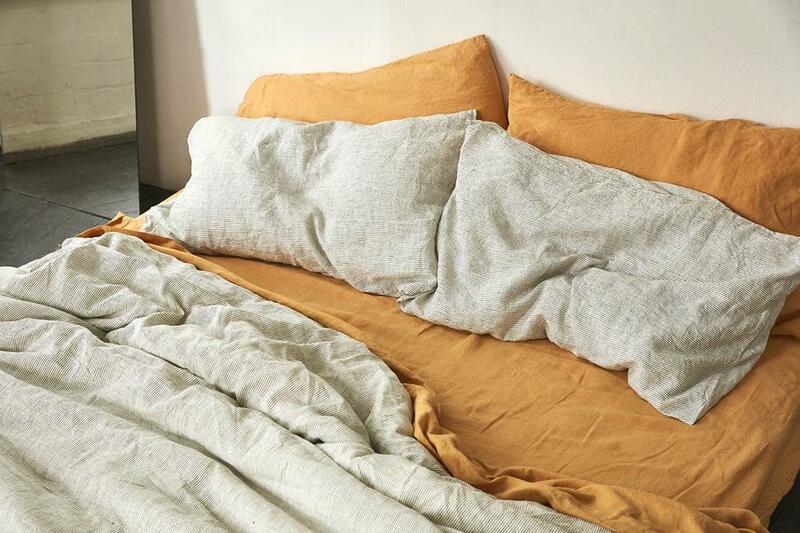 Cool for Summer and warm for Winter, this super soft linen is perfect for all year round. 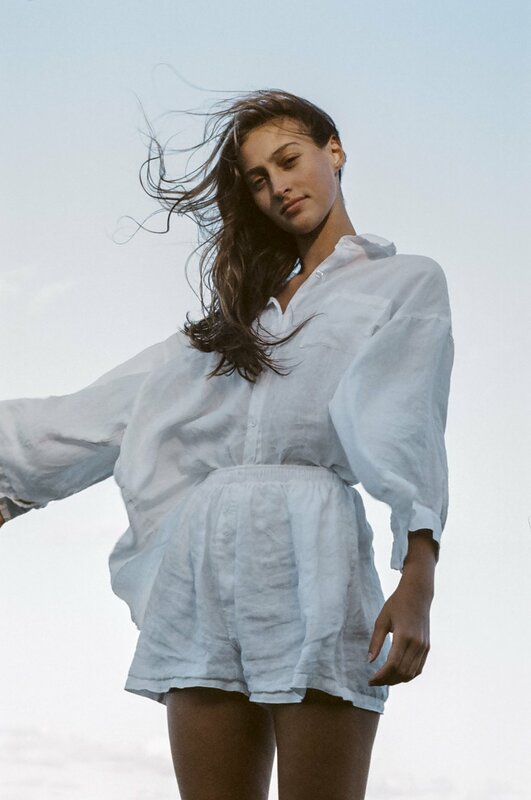 Their linen is 30% stronger than cotton, hypo-allergenic, highly breathable and environmentally friendly, as it uses less water and chemicals to cultivate. "...high comfort, high quality linen to support your best sleep yet."